Dimensions: 2 1/2 X 2 1/2" Approx. 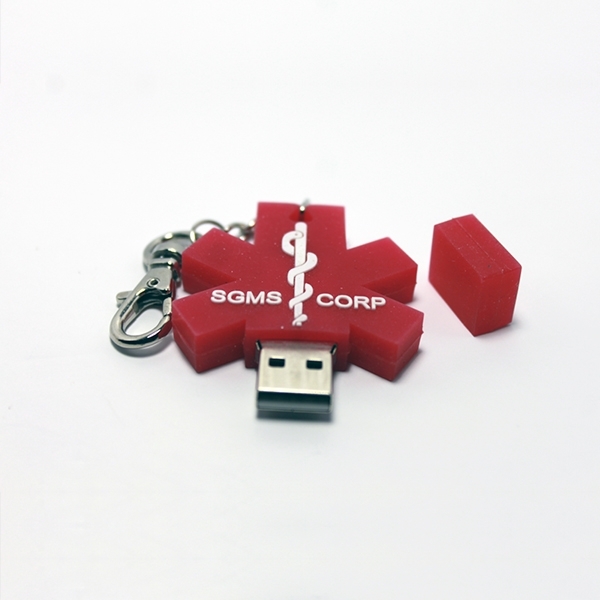 This Star Of Life EMR Medi-Chip contains our Key 2 Life® (EMR) USB Medi-Chip that is 100% Waterproff. 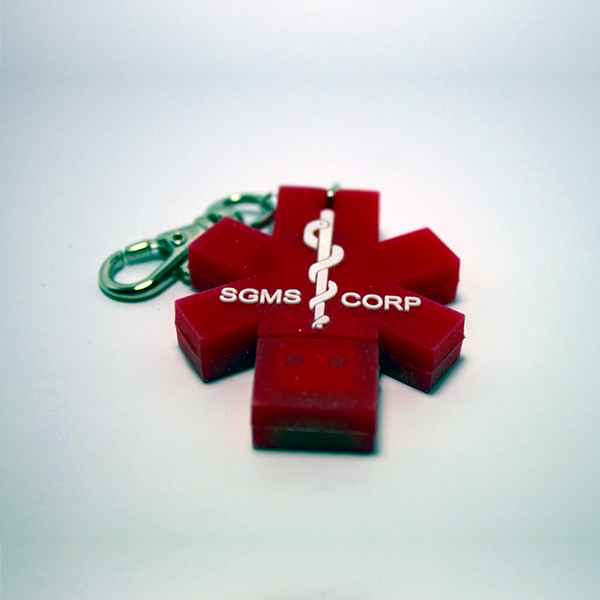 This six sided red silicone Star of Life EMR device is attached to a short key chain with lobster clasp. At approximately 2 1/2 inches in diameter and 2.2 oz, you can wear it on a key chain, zipper, etc.